The First Minister of Wales, Carwyn Jones, will today (18 September) announce Welsh Government financial support for a new memorial in Belgium to remember the Welsh people who served in the First World War. On a visit to the site of the new memorial in Langemark in Belgium, he will announce that the Welsh Government will provide up to £25,000 to underwrite the Welsh Memorial in Flanders appeal. The public appeal has already raised £30,000 towards the cost of the memorial to enable construction of the memorial to begin and the First Minister will symbolically dig the first sod of earth during his visit. The land on which the memorial will stand has been donated at no cost by the local authority, the municipality of Langemark. The appeal will now seek to raise a further £60,000 to add a symbolic Welsh Dragon to complete the memorial and the Welsh Government’s support will help with this fund-raising effort. The West Flanders provincial authority has agreed to create and maintain a Welsh garden of remembrance to surround the memorial. During his visit to Flanders the First Minister will also visit the grave of the famous Welsh poet, Ellis Humphrey Evans, better known by his bardic name Hedd Wyn, who is buried in the Artillery Wood war cemetery, a short distance from where the memorial will be built. He died very near to the site of the memorial and is commemorated nearby by a plaque. He will also attend the nightly remembrance ceremony at the Menin Gate Memorial in Ieper (Ypres). The Memorial commemorates more than 54,000 men from Australia, Canada, India, South Africa and United Kingdom lost in fighting around Ieper and who have no known grave. Every evening at 20.00, a ceremony takes place at the Menin Gate where the local fire brigade play the “Last Post” and wreaths are laid in memory of those lost. 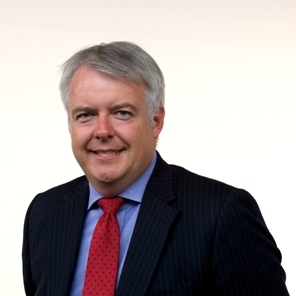 The First Minister will continue his visit the following day to the Welsh Memorial commemorating those who fought in the Battle of Mametz Wood in Northern France. The visit is the start of the Cymru’n Cofio Wales Remembers 1914-1918 programme of commemoration of the centenary of the First World War.